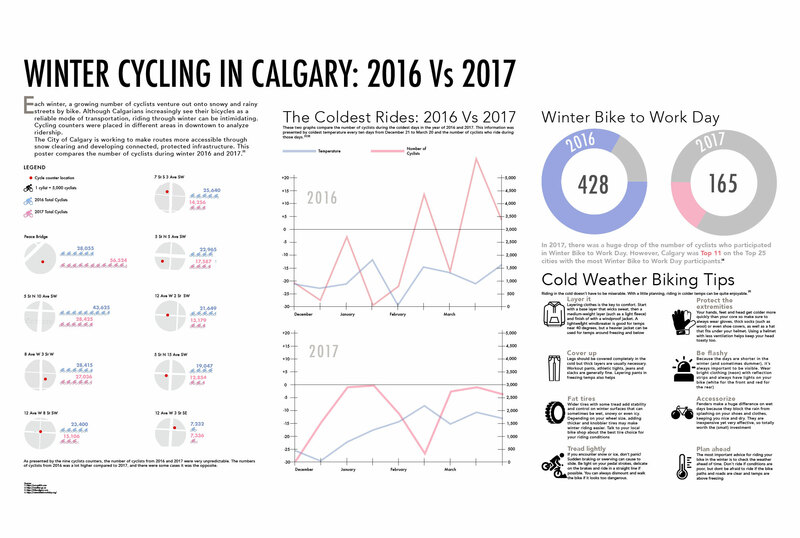 The poster looks at Winter Cycling user data in Calgary. The poster looks at the top cycling routes that people use in Calgary. There is a common misconception that because Calgary experiences harsh winters, and this poster answers that question. 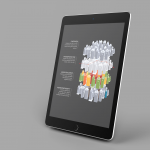 Processes included in the making of this poster is going to individual bike paths and conducting primary research, looking at different datasets, and working with subject matter experts at the City of Calgary Transportation Department.